Below you can view all the homes for sale in the Meadowlark subdivision located in Lakewood Colorado. Listings in Meadowlark are updated daily from data we receive from the Denver multiple listing service. To learn more about any of these homes or to receive custom notifications when a new property is listed for sale in Meadowlark, give us a call at 720-897-0273. Big Back Yard with Deck, Great Location Close to Belmar, Mountains, Park, Schools Great Home! Come and See! 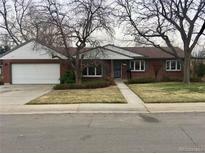 MLS#7525577. JDI INVESTMENTS. Express lane to downtown in 5 minutes. Perfectly amazing home. MLS#5681788. Legacy Real Estate Group. Perfect home for family gatherings; kids, furry family members, and in-laws all have room here! MLS#6840806. TRELORA. A Colorado dream! Come see it! MLS#8914888. KITZ & ASSOCIATES INC..